Community is something all thought leaders and aspiring entrepreneurs need to be investing in. Without community, you’re an island — isolated in your effort to build wealth and influence. That fact has been pretty well established by this point. What’s less well-known is the fact that there are many resources you can utilize in building a community. One of the most important? LinkedIn. LinkedIn is a powerful mechanism for community growth because it helps you foster an intellectual authority presence. Readers look naturally at LinkedIn community leaders as power players — people who know what they’re talking about and have earned a certain respect. Connect you with new contacts who might add value to your career by way of mentorship or support. Solidify your intellectual presence in your industry or niche. All of these things are critical. Unfortunately, it’s not exactly clear — at least to folks new to the platform — how exactly to use LinkedIn to accomplish any of this. LinkedIn groups, for example, are effectively useless. You’re better off directing your connections to a Facebook group if you want to utilize the more private group structure for communication and content sharing. 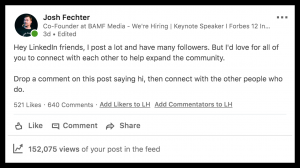 That’s how bad LinkedIn’s version of groups are — yet they’re what we gravitate to first when we think of building community. No, the best ways to build community on LinkedIn are not exactly intuitive. So here are the most valuable strategies you should focus on instead. 1) Using status updates as a way to connect your followers. 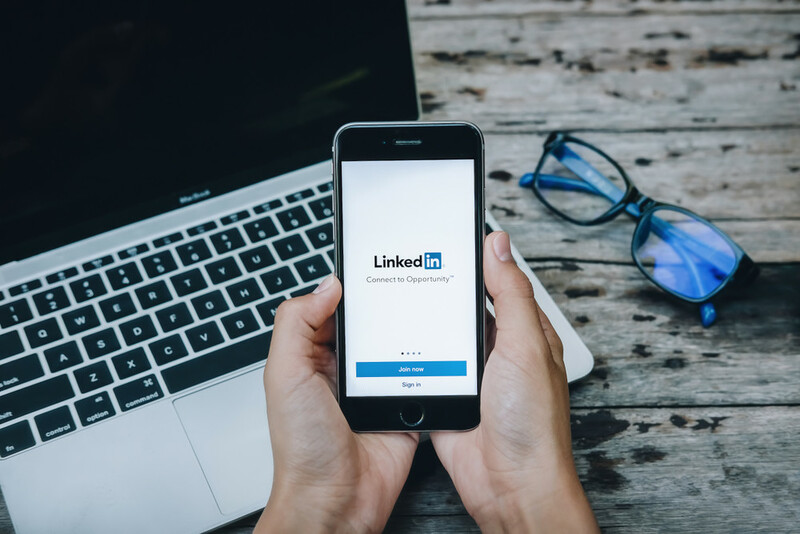 Most of us think of LinkedIn status updates as purely a means of engaging connections with content — which they are. But they can also be used to encourage action among your followers. In fact, that should be your eminent goal. Your followers should be commenting on your posts, sharing them, and discussing within them how genuinely they relate to what you’re saying. That’s why updates which ask a simple question — “Hey everyone, how do you motivate yourself on Monday? Tag someone you know who always comes ready to bring it at the beginning of the week” — work really well. Consider how you operate inside of groups on Facebook. How you engage with other members inside the group, asking for advice and communicating with folks directly. Do that in your status updates on LinkedIn, and you’ll generate the sort of energy and engagement around both your content and your presence that will elevate your reputation in the eyes of community members. 2) Keeping a very curated list of who you connect with. 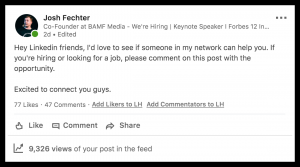 This second piece may seem surprising: most people on LinkedIn think of their connections as a list strictly to be grown as opposed to curated. The amount of connections you have is evidence of your influence — right? Wrong. It’s a mistake to try and connect with as many people as possible. Instead, be purposeful with the people you forge online relationships with. Only seek out new connections whom you can learn from, or whom you think might benefit from the content you have to share — people whom you think might be interested in your clear, specific value-add. Sure, operating in this way might lose you followers. But it will gain you customers and colleagues. 3) Creating a LinkedIn messaging pod where people can connect directly and privately to strategize. LinkedIn messaging or engagement pods are groups you create on Slack or Facebook consisting of LinkedIn contacts. You can use them to give your posts or articles an immediate boost. Here’s what you do: Immediately after publishing something new on LinkedIn, share it in your messaging pod, and ask everyone to go engage with it or share it. This is a remarkably effective way to bolster your posts and updates to ensure they don’t fade to irrelevance, getting buried beneath everyone else’s articles. But it only works if your group is purposeful about what folks are allowed to share. In the various pods that I run with my teams and clients at BAMF, we impose strict barriers to entry to ensure all the content we promote is something we’re comfortable co-signing. It helps, to this end — do you notice a theme here? — to focus eminently on adding value. Always, always, always — in your pods, through your status updates, in engaging with your connections — seek to provide unique value. That’s what will cement your reputation as someone people need to know on LinkedIn — which will, of course, help you build a more formidable community. And that, for most of us, is the ultimate goal of using LinkedIn, right? If it’s not yet… well, consider this your call to action. Last month, Richard Branson — CEO, mogul, and billionaire — announced that he will be launching a new venture: a two-day music festival to be held in the United States. Virgin Fest will be more than just a money-making machine (250,000 people are expected to attend). It will double as a marketing tactic for Branson’s brand, which is the real thing of value here — building love and loyalty for your company’s character and identity. I predict that’s where this move is going to really pay off. Virgin Fest will engage potential customers and users through a channel and experience they already love. A core challenge for marketers today is staying relevant in this swiftly changing economic climate. They have to constantly rethink their outreach strategies and content creation style to accommodate the channels and mechanisms through which people consume content and spend their time. And that’s why Branson’s move is so smart. Music festivals are a primary place users are spending their time and energy. And they’ve exploded in popularity over the last dozen years. They’re a more exciting mode of engaging in communal, quasi-spiritual activity, which young people still want, just not necessarily from organized religion. They double as cultural events which, if attended, double as something of an accomplishment or badge of honor. They encourage individuality and creative expression. Branson, evidently, understands all that. He sees why young people love music festivals and has properly identified these events as a key means of connecting with them. In other words, by launching Virgin Fest, Branson is optimizing his brand’s content to reach users where he’s most likely to connect with them. People are investing more than we think in communal experiences. For the last few years, marketing gospel has been focused on connecting with users online through Facebook, Instagram, and YouTube, since that’s where customers are spending their time. But the truth is, the online experience, in many ways, has become oversaturated. And people still crave something that online engagement doesn’t really provide: connection. In fact, users don’t just desire connection — they invest in it. Heavily. To build a brand, you must build community. This is something other marketers have seemingly been late to internalize. When people associate a brand with a community they love being a part of, that engenders loyalty. That’s one of the key reasons Salesforce puts on their massive Dreamforce conference every year in San Francisco. And it’s why creating your own music festival, which will give people something to talk about, look forward to, and found traditions upon, is such a genius idea. You just have to pull it off. 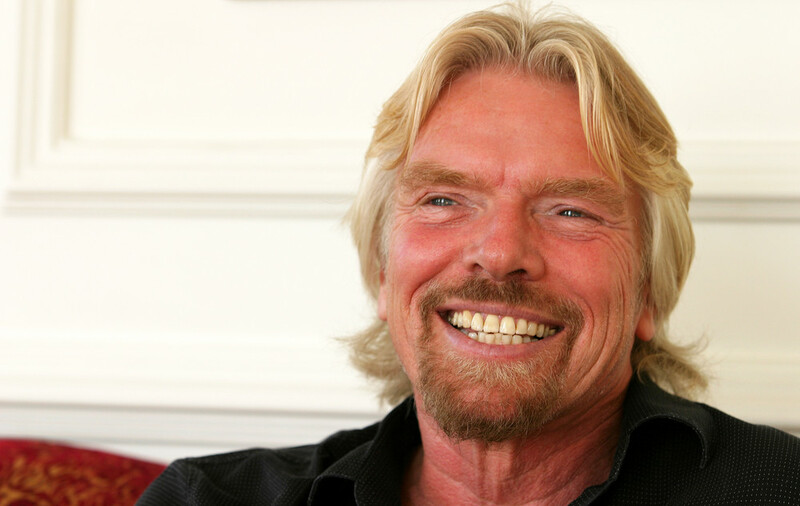 And whether Branson does, of course, remains to be seen. Ultimately, the key will be not over-commercializing Virgin Fest with third-party advertisers. That’s one reason attendance has declined for many large festivals over the last few years. People go to festivals for community, religion, fun, and, of course, great art — not to be sold to. But so long as Branson doesn’t corrupt the experience of attending his festival with gratuitous, in-your-face corporate advertising, I’m confident the venture will be a massive success. And for his brand, in particular, it should prove a boon. Mailchimp’s story, on the surface, seems sort of miraculous. 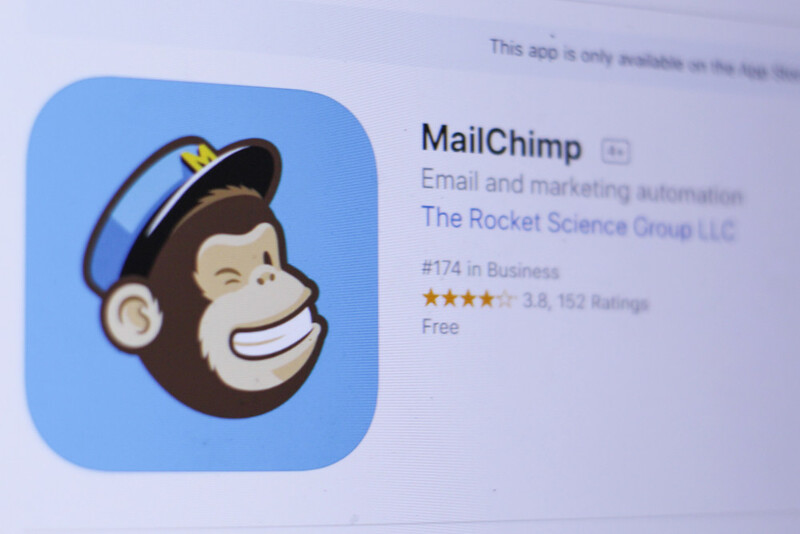 Launched back in 2001, Mailchimp has grown into an email marketing behemoth. In 2016, it added nearly four million new users — increasing its total user base from 12 million to 16 million. In 2017, it posted more than $525 million in revenue, an especially remarkable number when you consider that founders Ben Chestnut and Dan Kurzius reached it without ever raising venture capital. But Kurzius and Chestnut’s success doesn’t stem from divine intervention. Rather, it’s a product of strong leadership and innovative thinking, exemplified by Mailchimp’s decision back in 2017 to expand its product offerings — including stripped-down web pages and a platform that puts a small-business spin on traditional enterprise-sales software systems. But that’s not all they did. They also accompanied this expansion with a rebranding overhaul, which reimagined Mailchimp’s logo and name to better accommodate its size and utility. And it’s this decision which, at least on the marketing side, was truly brilliant. Here’s what marketers should strive to take away from it. 1) Rebranding is a key mechanism you can employ in taking your company to that “next level” — like from consumer to enterprise. Mailchimp was known originally as purely a small business email marketing platform. But they’ve now grown into something more wide-reaching than that — something with greater potential reach. Because of that, they no longer want to be known as strictly a small business email marketing platform, but rather a more dynamic marketing solution with benefits for both small businesses and enterprise customers alike. The question Chestnut and Kurzius had to answer in considering how to make that transition, then, was: how do we articulate and amplify the fact that they we’re expanding in this way? As we’ve seen, Mailchimp’s rebranding efforts doubled as a way to communicate their elevated services in a way that drew attention. It’s easier to go from consumer to enterprise than the other way around — as a large consumer business, you have millions of customers already familiar with your brand, but as an enterprise company, you might only have 30 or so customers, and therefore less brand recognition — but still, you need to make it known to the enterprise world that you’re serious about what you’re doing. Judging by the ad spots Mailchimp landed in places like The New Yorker — and the partnerships they solidified with companies like Facebook — it’s safe to say they succeeded. For marketers, know that rebranding is more than a means of communicating something new. It’s also about getting attention. 2) Whenever you hit your Big Hairy Audacious Goal (BHAG), it’s time to set a new one. In 1994, author Jim Collins wrote about how continually setting, pursuing, completing, and then resetting big, audacious goals was paramount to actualizing regular success. Key to that process is the resetting piece: once you achieve a big goal, you have to go about achieving something similarly monumental. That’s exactly what Mailchimp is doing in setting out to be an enterprise automation solution. It’s a matter of staying relevant and competitive. Companies without big audacious goals become complacent and stagnate. That goes for marketing departments, too. 3) It pays to start small. Although this might not seem like big enough a change to reflect anything as influential as a pivot from consumer to enterprise sales, consider that the first thing Mailchimp needed to do here was signal that a change had taken place — and that they were serious about making it. To do that, you need the adjustment to be fundamental — as the change in title and logo proved to be. In fact, any change more noticeable than that runs the risk of being jarring to customers and rendering you unrecognizable. 4) Rebranding after many years of continuity breeds excitement. Mailchimp has been around for 17 years — and since their rise to prominence, this is their first significant rebranding move. I believe that’s one key reason their rebranding efforts have received so much attention. It was remarkable because it was unprecedented — monumental, even, at least in the context of the company’s history. If you’re a marketer, that should show you something: if your company is of semi-significant size and stature, know that rebranding is a sort of one-time lightning rod which, if thrown correctly, can really reinvigorate excitement about your products. At the end of the day, what Mailchimp really needed to do in changing its logo and name was update the market of its new ambitions. That was the key goal. Attention for attention’s sake is valuable, but drawing attention to something you need for potential customers to know about is critical. If potential enterprise companies didn’t know that Mailchimp now offered enterprise solutions, after all, they’d be less likely to take Mailchimp’s sales team seriously when they hopped on the phone with them. Ultimately, that Mailchimp understood this — that they knew rebranding was a key tactic they could employ in coincidence with expanding their product expansions — exemplifies the sort of smart marketing they’ve long practiced as a company. There’s nothing miraculous about that. Athletes have long been the face of brands. In fact, they’ve long been more than that — they’ve been the soul of brands. Think about it. Athletes, for example, don’t just represent brands. They epitomize them. Nike doesn’t sell shoes. Nike empowers athletes like Colin Kaepernick. Now, companies like Nike brand by way of athletes because it’s a smart marketing tactic. Influencers are more effective as branding tools than products are. When people see an ad of their favorite celebrity, they feel less like they’re being sold to than they do when they’re watching an ad of a computer or a car. This has been true for a long time. But something about the paradigm has shifted in recent years, and it’s given the former faces and souls of brands a new power of independence. Athletes are now removing the middleman to create their own brands. Which is to say, athletes are utilizing their influence to create their own companies. Consider, for example, LeBron James. James, for most of his career, followed the typical superstar athlete business playbook: he generated wealth through multi-year endorsement deals and licensing agreements. These arrangements win him short-term earnings. But most stop generating money when the deal expires. James recognized this. Because roughly five years ago, he began to eschew these more typical endorsement deals in favor of something more valuable in the long-term: partnerships. The pizza chain Blaze Pizza, which is now the fastest growing restaurant chain of all time and which, as of 2017, had earned James more than $35 million. His new show on HBO, The Shop, of which he is an executive producer. And that’s what he did with Warner Bros., who’s producing James’ upcoming Space Jam 2. In essence, James has used his personal brand to integrate himself deeper into better business opportunities. No longer is James merely a tool to be utilized by other corporations. Now he’s in control. And of course, he’s not the only athlete to do this. Every day, more examples emerge. Roger Federer has his own apparel line. 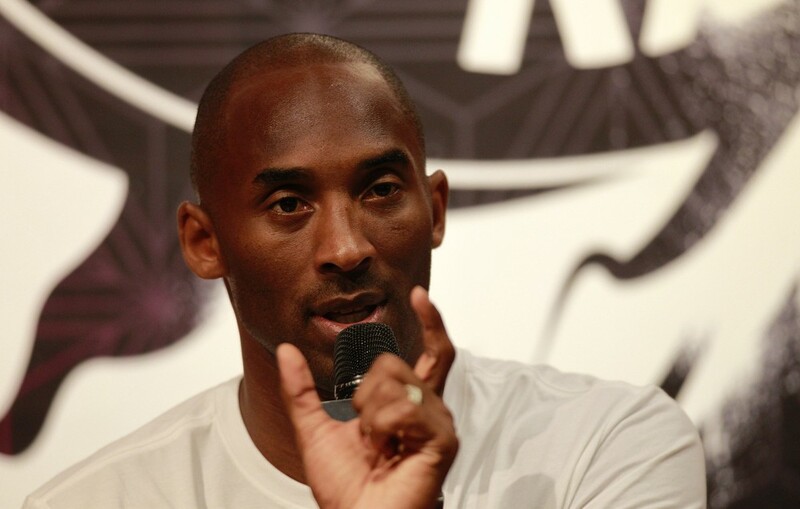 Kobe Bryant has a skincare company. Derek Jeter launched The Players’ Tribune, a website edited by pro athletes that features first-person stories written by athletes. And those are all older heads. Imagine what younger athletes and celebrities with massive (and growing) social media followings will be able to do once they hit their prime. So, what can the rest of us learn from these superstars? Now, the journey of LeBron from celebrated athlete spokesperson to sole determiner of his brand is inspiring, but it’s also more than that. For the rest of us — from people like me who run their own business, to those just trying to understand where our digital society is headed — there’s wisdom to be gleaned from these stories. Namely: brands are most powerful when they represent dynamic people — not products. LeBron’s brand, after all, is what powered Blaze Pizza to unprecedented growth. It wasn’t their pizza. It was their association with LeBron. Bottom line: customers connect with brands that represent the kind of people they want to become. As it happens, that’s what companies like Nike have long understood. They’ve known that the young kid who wears Nike cleats is doing so because she wants to be like her favorite soccer player. They know that young football players who wear Nike armbands and socks are doing so not because they think Nike itself is cool, but because they want to be bold and powerful and brave — like Colin Kaepernick. If you, like me, are in the process of building a brand today, think people first, and product second. The CMO job is dead. Adjusting tactics in accordance with the resulting analytics. In other words, startups now treat marketing like it’s a science. It wasn’t always like this, and the adjustment has created a variety of internal repercussions. The most noteworthy? 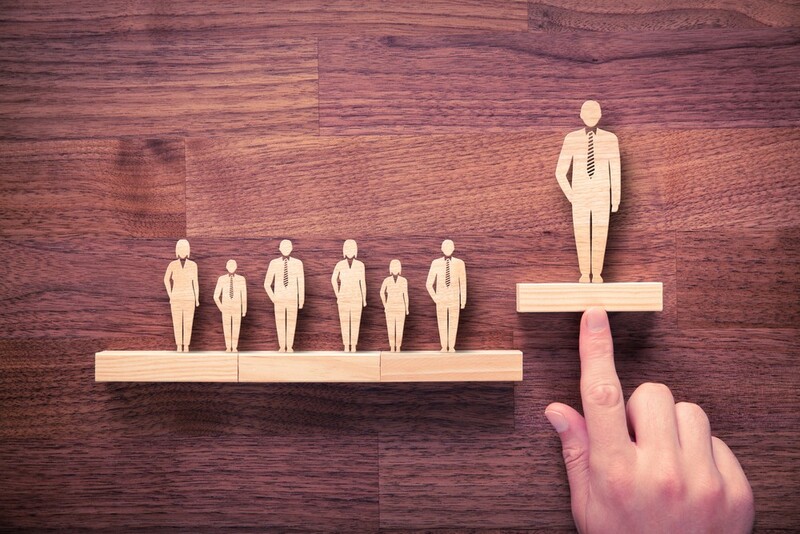 Founders from startups to Co-Cola are restructuring their organizations and abandoning the role of Chief Marketing Officer (CMO) in favor of something more dynamic: the Head of Growth or Chief Growth Officer. People who currently hold CMO roles may bemoan the shift. But for companies, it’s the smart play. Here’s why. The role of CMO is obsolete. Identify marketing agencies to outsource marketing work to. Identify software applications which might drive marketing work in-house. Coordinate the logistics around making and sustaining those purchases. Traditionally, this type of marketing made little use of analytics, but that was fine because data was less available. Marketing was less a science than it was an art — and because of that, companies needed CMOs with a pulse on the market and connections in the industry to run the show. In our digital world, engagement with your brand, excitement about your products, loyalty — it can all be quantified, turned into data you can draw analysis from. And using data to inform your decision making is a much better way to market your business. Data-driven marketing equips you with the tools you need to make informed decisions about how to engage with current and potential customers. That means founders today need marketing leaders who are positioned to utilize the wealth of personalized customer information that’s now available by way of digital technologies. They need marketing professionals who understand how to distill intelligence from analytics to improve ROI. Enter: the Chief Growth Officer. The Chief Growth Officer embodies the data-driven approach. They study what available evidence regarding their customers will be effective, and they use that to determine how to move forward. That’s what today’s marketing experts are positioned to do — and it’s simply more efficient. This is especially true when you compare it to the un-scientific approach employed by traditional CMOs. Traditional CMOs, who are often uncertain around using metrics, will use anecdotal evidence over hard data when determining whether a marketing campaign has been successful. And leading with fiction over fact, in the end, can greatly damage a company. Today’s startups are positioning themselves to avoid that sort of self-inflicted harm. We insist on operating intelligently and with purpose — on measuring ROI and using the insight gleaned from that analysis to drive strategy, for example. Another way of looking at it? Founders need the people powering their marketing processes to understand today’s world — the possibilities allowed by technology and social media, and the capacity of customer classification. Shifting away from the old guard essentially means embracing these new capabilities. If you’re someone on the CMO track, now’s the time to double down on your technical skills and revamp your skillset. How to build and interact with spreadsheets to accurately present intelligence generated by collected data. It’s a lot, but it’s the key to staying relevant. Your connections will only get you so far for so long. If you’re a founder building out your marketing department, embrace the shift and look for someone with a strong analytics background. Someone with an understanding of SEO. Your Chief Growth Officer should also understand how to build a content marketing funnel and know what great content looks like. As a founder, what you want to avoid is hiring someone who can’t derive logic from data. If you’re running a one-month trial and users are quitting at the 14-day mark, your marketing team has to be able to identify why. That’s a basic example, and the possibilities of today’s world go much deeper than that, but they’re also more exciting. Ditch the old way, and position yourself and your company to dive in and embrace the future. I have, for some time now, been obsessed with the work of Patrick Rothfuss. No, he’s not an entrepreneur, engineer, or venture capitalist versed in the language of the startup world. He’s the New York Times bestselling author of the fantasy series, The Kingkiller Chronicle. 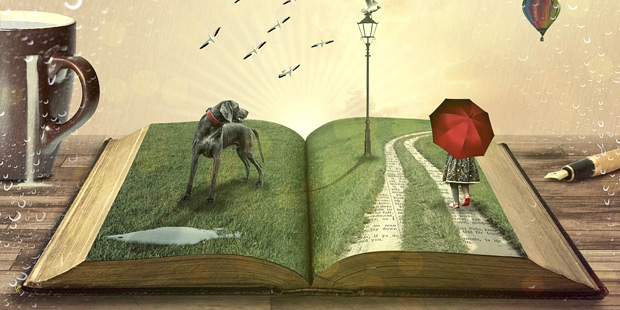 This might seem strange to some — fantasy authors and startup founders operate in different worlds — but I believe there is plenty founders can learn from the work of fiction writers. The skills, habits, and values that make fantasy authors successful translate directly to success in our field. For most writers, conjuring, crafting, editing, and publishing a novel takes years. To complete The Name of the Wind, it took Rothfuss 15. In an interview penned by Wired, Rothfuss explained why his writing journey was so arduous. He also described writing multiple drafts of his epic story, iterating and improving each one with painstaking deliberation and analysis. All in all, his is a process that demands an almost superhuman amount of diligence and patience. That might strike some as hyperbolic, but it’s what creating any kind of great book requires. While the seed of an idea might hit at once, slowly animating a new, cohesive world that stands up under scrutiny and entertains with a well-told story doesn’t happen overnight. The same is true of building a successful, potentially timeless company. Maybe the idea for your MVP bloomed in a matter of minutes, but as any founder knows, the journey from that moment to the ultimate actualization of a successful company — one that creates products which solve problems for a cadre of loyal customers — takes exponentially longer. The process, simply put, cannot be expedited. Whether you’re writing a novel or building a company, the quality of that final product will depend on, yes, patience, but also on the creator’s commitment to producing something great. In the case of the novelist, what matters is not how many books you’re able to write — nor how quickly you write them — but how impactful the ones you dowrite prove in the lives of your readers. How deeply your characters resonate, how stubbornly the scenes you paint linger in the mind. It’s that impact which builds communities of loyal fans who clamor for your next work. It’s also what helps your book stand up against the test of time. This is true of the products, updates, tools, and services you release as the leader of a startup, too. What separates successful founders from those who fold is an undying commitment to creating genuinely valuable things. The money that follows — like the movie rights that Rothfuss recently signed over to Lionsgate — is a result of that commitment. Greatness is a product of genuine ambition. Prestige cannot be the primary inspiration. Quality requires a lot of lonely work behind the scenes. Here’s the kicker, though: whether you’re a novelist or a founder, you need an appreciation for the patience and authentic ambition. But that doesn’t mean jack if you’re not willing to put in the grueling work writing books and building companies entail. In fact, both endeavors require immense amounts of time spent sitting alone in silence, gnawing on your knuckles. Both processes amount to a kind of mental alchemy: you’re turning something incorporeal into something tangible. That requires, too, neglecting other important aspects of your life, and embracing more generally the loneliness of solitude. If you’re not prepared to face all that, you won’t ever finish your novel or build your company — at least not well. On the flip side, though, if you embrace solitude and commit to the isolated struggle, your work will flourish. In fact, you’ll succeed more generally: there’s a direct and proven correlation between the number of hours you spend working alone and the amount of success you ultimately achieve. You need a set of core values to rely on and revert back to in times of doubt. Because writing novels and building companies is difficult, lonely work — and because patience is at times challenging to maintain — both writers and founders must have a set of core values they can lean on in times of struggle. You also need a kind of foundational mission statement which you can refer to regularly. For Rothfuss, this means remembering what he’s trying to accomplish, which is creating a new world with his next novel — he has little value to gain from distracting himself by writing a cookbook. For startup founders, this means establishing and remembering your core value proposition. 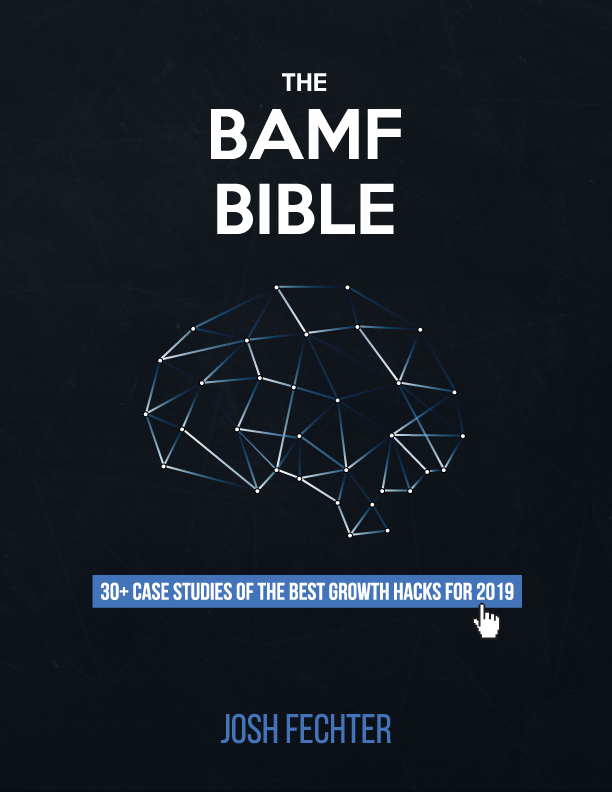 In the case of my company — BAMF Media, a growth marketing consulting agency — we work to ensure that every new service we provide is a natural extension of the value we provide at our core. It does us no good to get distracted building things that don’t further our essential mission. In reality, this imperative doubles as our North Star — similar to how Rothfuss’s chief goals guided him through his long and challenging 15-year journey to his first publication. Ultimately, founders and fantasy authors are not entirely the same. Founders, for example, can update their products, messaging, or services after they release them. Authors, on the other hand, can’t rewrite their books after they’re published. But it remains true that the traits, values, habits, and appreciations which prove essential ingredients for writing a great book are equally essential for building a successful company. In this sense, founders and fantasy authors really are playing the same game. The worlds we work in are, in fact, not that different. We’re just creating different kinds of magic.